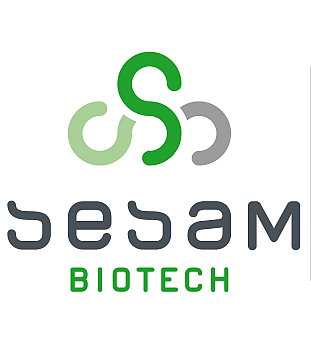 As an expert in Directed Enzyme Evolution, SeSaM-Biotech collaborates with large and small companies, research institutes and other organisations worldwide to develop new enzyme- or protein-based products and ingredients. Find a selection of existing partnerships, publicly funded projects and networks below. In cooperation with MetrioPharm Deutschland GmbH we are working on a common project to develop new ``drug-eluting-stents`` by combining Metriopharm's immunomodulating molecules and SeSaM's coating technologies. Our academic and industrial members push research and development (R & D), education and training, business plans, scale-up, and the exploration of new markets. The CLIB team supports the members through effective networking activities, some of which are funded by public means. PAcMEN is a European training network, which offers excellent training in biotech research and innovation for 16 talented young scientists. PhD students will carry out cutting-edge research in metabolic engineering, modeling, systems and synthetic biology. In collaboration with industrial partners, they will create novel solutions for sustainable production of fuels and chemicals. The overarching research goal of the OXYTRAIN network is to boost the development and exploitation of oxygenating enzymes in industrial applications. In order to achieve this main goal, well-trained researchers from different backgrounds are indispensable, as are new tools and approaches for the generation of industrially applicable enzymes. BioRiver – Life Science im Rheinland e.V. is fully committed to representing the Life Sciences sector in the bioregion Rhineland as an independent industry organization. The essential aims of BioRiver are to build a strong network within the biotech sector, to improve the political and economic conditions as well as to market the bioregion Rhineland and its members. BIOLOG is an innovative and scientifically orientated enterprise based in Germany, which is specialized in tools for signal transduction research. The ISO 9001-certified company has its focus on nucleotide chemistry with special emphasis on cyclic nucleotide-based modulators of respective protein kinases, phosphodiesterases and ion channels, etc. Budenheim is considered a customer-oriented specialist for high-quality phosphates and specialist chemistry everywhere in the world. Budenheim's philosophy embraces innovative strength and a thirst for discovery and helps to continuously open up new markets. In one year Budenheim produces 230,000 t of phosphates for foodstuffs, drugs, water treatment and technical applications in about 100 countries. Are you looking for a partner with expertise in Directed Enzyme Evolution?